Surrounding land privately owned; no public access. Gift to State by Davis Family. Because of a large island in the middle, emigrants traveling on the Overland Trail found this a good place to ford the often dangerous North Platte River. 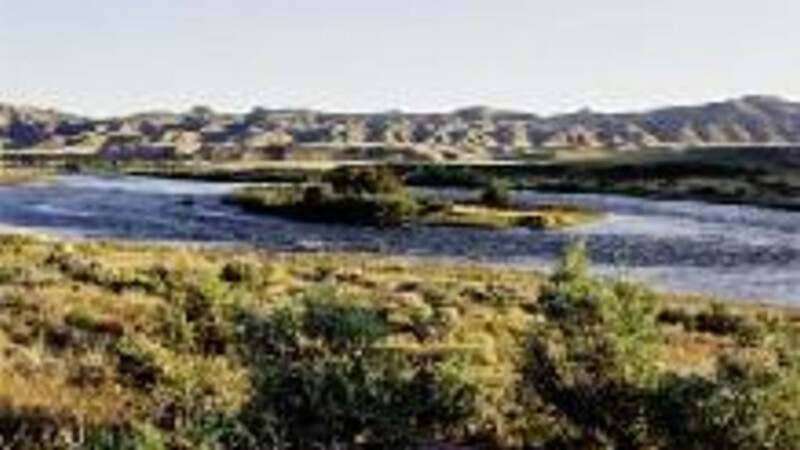 Remotely located in a natural desert of sagebrush and grasses, the area was frequented by Cheyenne, Arapaho and Ute Indians long before the coming of the emigrants. A small cemetery is nearby, with the graves of eight emigrant men and women buried between 1863 - 1865. Also nearby is the site of Bennett's ferry, where twisted buffalo hides were used as cables to pull ferries across during periods of high water. Today the area is devoted to ranching.